Sarbaharapath | INTERNATIONAL JOINT DECLARATION: INTERNATIONAL UNITY OF THE COMMUNISTS DEMANDS FIRMNESS IN THE DEFENSE OF MARXISM LENINISM MAOISM! INTERNATIONAL UNITY OF THE COMMUNISTS DEMANDS FIRMNESS IN THE DEFENSE OF MARXISM LENINISM MAOISM! The continuing world economic crisis shows the expiration of the capitalist system, whose current imperialist phase of agony and decomposition is the highest and last stage in the historical existence of capitalism, beyond which only follows the World Proletarian Revolution and Socialism – first phase of Communist society. The economic crisis has not only exacerbated all the contradictions of world imperialism but per se expresses the antagonism extreme of the fundamental contradiction of the system between a production ever more social and an ever more private appropriation. Such antagonism is the deep cause of the struggle of nations, countries and oppressed people against their oppressors, where today in the vanguard’s line marches the people’s war heroic in the India, Turkey, Philippines and were giants the efforts for reorganize it in Peru. It is the cause deep of the movement incessant of wage slaves and of the broader working masses in all countries. That is the reason for the fear of the bourgeoisie of the imperialist countries, who ripping their garments face of danger of weapons of mass destruction while they manufacture them in colossal amounts, promote and support reactionary wars and they are arm and are rearm for a new world war. Here is the panic of all reactionary facing the revolution, condemning the just wars of the oppressed, praising submissive pacifists as Mandela, clamoring for peace between exploited and exploiters and harmony between oppressed and oppressors seconded by hypocritical propaganda for the bourgeois socialism of the XXI Century, and also by phony communists who repenting of having taken up arms against the oppressors run in aid of the bourgeoisie, the landlords and the imperialists to redeem the revolution for servile “peace accords”. The objective situation is excellent for world revolution but is still pending solving your greatest obstacle: the international unity of the communists. Conspire against it the main danger revisionist, who waving red flags against Marxism Leninism Maoism. In the 120 years since the birth of Chairman Mao is occasion to countersign the statement correct Live Marxism Leninism Maoism! of the defunct Revolutionary Internationalist Movement – RIM proclaimed just 20 years ago, the December 26, 1993 and to publicly express our steadfast in their defense. The RIM was destroyed by revisionism but not the line of that Declaration in defense of Maoism as integral development of Marxism-Leninism to a new, third and higher stage: Marxism Leninism Maoism. Today, we highlight the issue of power, conductor political thread of the three stages of development of Marxism and that Chairman Mao summarizes in master words Political Power grows out of the barrel of a gun. This is the line of demarcation and distinction with every other form of trivial Marxism. This is the true and consistent line of defense of Marxism Leninism Maoism, based in recognize on violence the midwife of history and in the armed struggle of the masses the inevitable way of the World Proletarian Revolution, developed and integrated by Maoism to the military line of the international proletariat, in the powerful theory and practice of the People’s War, higher shape and continuation of politics struggle by other means, that it does serve to seize the power, in the imperialist countries and the oppressed countries, where was also the Maoism who developed in theory and in practice, the New Democratic Revolution to the semi-feudal and semi-colonial countries as a part of the world proletarian revolution, to wit, how a democratic revolution of new character directed by the proletariat, which democratic popular state, is yet a type of the dictatorship by the proletariat. A line of delimitation, defined, clear and diametrically opposite to “peaceful transition” rotten revisionist theory reissued in this century on behalf of Marxism Leninism Maoism to justify the “Peace Accords” that demand and require the imperialism, the bourgeoisie and the landlords. Genuine opportunism nicks revolutionary edge of Marxism to make it acceptable to the class enemies. His defeat, it is imperative for the international unity of the communists. The consequent defense of Marxism Leninism Maoism requires going beyond recognizing the class struggle and the route of the People’s War to seize power. 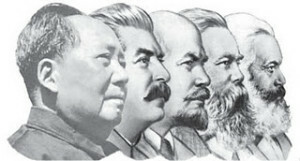 Required to accept and defend unhesitatingly that the class struggle necessarily coursed to the dictatorship of the proletariat, transition to the abolition of all classes and to a society without classes, being precisely the Maoist development of Marxism-Leninism, which raised the theory and practice of the dictatorship of the proletariat the summit of the Great Proletarian Cultural Revolution: Continue the revolution under the dictatorship of the proletariat. It was the Maoist development of Marxism-Leninism, which in theory and in practice raised the understanding of world proletariat on the laws of the class struggle in socialist society, against the mechanistic conception of the role of the productive forces and against the military tendencies, visualized the main contradiction between the proletariat and the bourgeoisie, the leading role of the Revolution on production and ratified the control of the party over the gun. Against the revisionist treason to Marxism Leninism Maoism, braid both Avakian and his “Revolutionary Communist Party” under the label of a postmodern development of Marxism, as the cliques of Prachanda, Kiran and Co. and their parties in Nepal, new followers of “peaceful transition”. 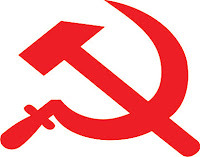 Against the tolerant and conciliatory centrism with the traitor Accord in Nepal and his heir the new “Communist Party” of Nepal (“Maoist”) whose line and program proclaim fidelity to the commitments agreed with the reactionary classes in the country. Against the waiver to Marxism Leninism Maoism, from positions of “left”, either vacillation and eclecticism that lead recede to a “Marxism Leninism without Maoism”, position incompatible with the defense of the people’s war and the path taught by the Great Proletarian Cultural Revolution to continue the revolution under the dictatorship of the proletariat; either by reduce the new third and higher stage of Marxism, a simple “Maoism without Marxism-Leninism”, because renounce to Maoism or deny its unity in a single entity with Marxism-Leninism, is to abandon the revolutionary Marxism of the age. Marxism Leninism Maoism is the only line of revolutionary development of Marxism which can lead to the victory of the world proletarian revolution and only ideological basis for the international unity of the communists. AGAINST REVISIONISM, CENTRISM AND ALL FORMS OF OPPORTUNISM: LIVE MARXISM LENINISM MAOISM! See Long Live the Great Proletarian Cultural Revolution! – “Hongqi” editorial. No. 8, 1966.